The No. 4 University of Wisconsin men’s basketball team (23-9, 14-6 Big Ten) fell to the No. 1 Michigan State Spartans (26-6, 16-4) in the Big Ten Tournament Semifinals Saturday afternoon. 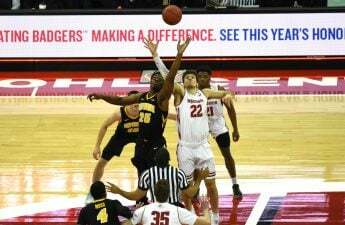 The Badgers were inconsistent yet again, but between their offensive and defensive woes, they were able to put together solid possessions to keep matters close for much of the game. Michigan State opened up an 8–0 lead to start the game, as Wisconsin continued with their offensive struggles from the second half of yesterday’s game against Nebraska. Michigan State stayed hot through most of the half, leading 27–10 with 7:30 remaining in the half. 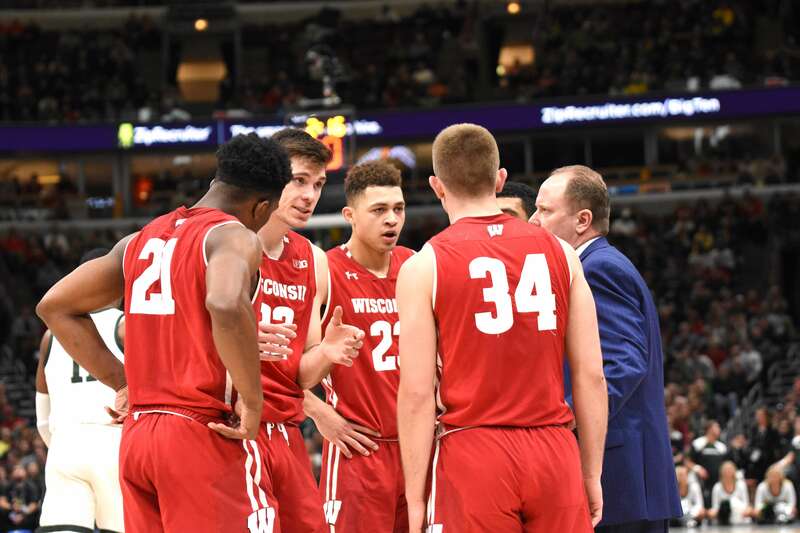 Wisconsin was dismal defensively, failing to close-out on Michigan State’s sharpshooters, while the Badgers could not stick to their measured offensive identity. Instead, Wisconsin struggled in an up-tempo offense to keep up with the Spartans, forcing contested jumpers both early and late in possessions — the Badgers opened the game 0-for-6 on 3-pointers. Wisconsin began putting its pieces together towards the end of the half, entering the break on a 17–8 scoring run to cut the deficit to 35–27. “I thought we did a good job fighting back in the first half,” Head Coach Greg Gard said of his team’s persistence after a horrid start. The Badgers came out of the half energized, closing the gap to 49-43 at the 9:30 mark. From there, Wisconsin essentially collapsed, as Michigan State scored eight consecutive points, while the Badgers failed to score for seven minutes. This Spartan run effectively flipped the game. Michigan State closed out the game against a fatigued Wisconsin team, winning 67–55 behind Big Ten Player of the Year Cassius Winston’s 21 points and six assists. Xavier Tillman also added 17 points, seven rebounds and four assists for the Spartans. 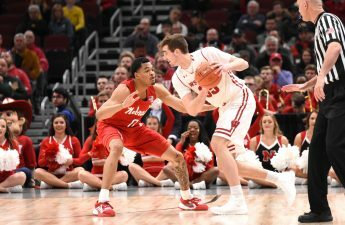 Wisconsin was led by Ethan Happ, who came back from a poor performance against Nebraska with 20 points, six rebounds, three assists, four blocks and two steals. Kobe King was the only other Badger to finish in double digits, scoring 13 points to go with three rebounds. The Spartans outrebounded the Badgers 44-30 and dished out twice as many assists, with 18 of their own compared to just nine by the Badgers. The Badgers struggled as a team from 3-point range as well, going just 2-for-19 from beyond the arc. Wisconsin’s loss means they are eliminated from Big Ten Tournament and will likely head into the NCAA Tournament as a four or five seed. Michigan State advances to the Big Ten Championship Game, which will take place Sunday afternoon at the United Center in Chicago. They will play either No. 2 Michigan or No. 7 Minnesota. Update: Wisconsin received a No. 5 seed in the South Regional this past Sunday and will play No. 12 seed Oregon in San Jose, California in the First Round of the NCAA Tournament this Friday, March 22. The game is expected to tip-off at 3:30 p.m. CT and can be watched live on TBS.